Description An undated Pullman Porter/Attendant Name Card that was used to identify who was serving the car. This example is black with white lettering. The name printed was G W Head. 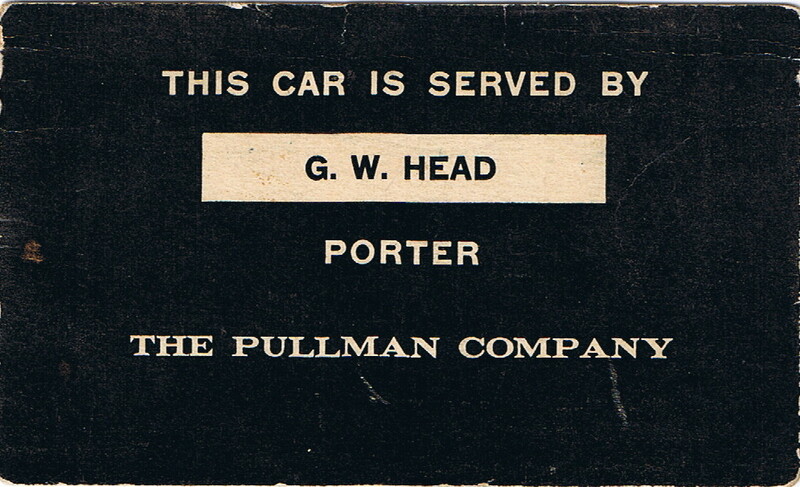 "This Car Served By G. W. Head, Porter, The Pullman Company." 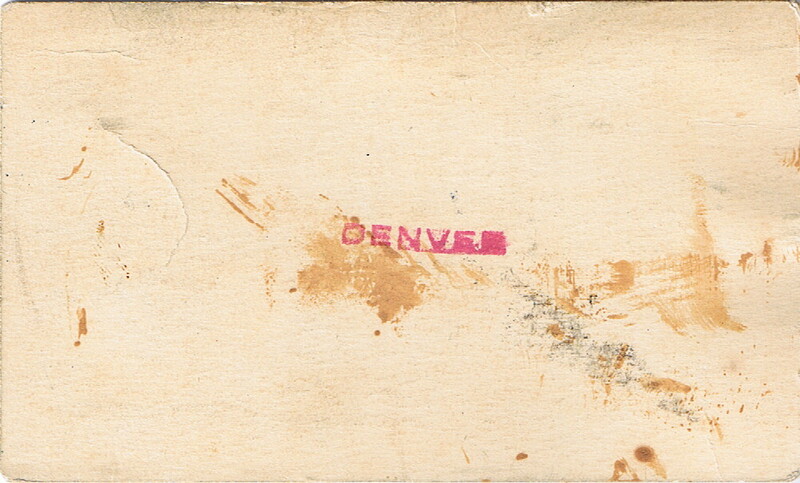 "Denver" is stamped on the back.